At the Towns at Highland Park you can enjoy the peace and quiet of unspoiled farmland and still be only minutes from all major highways, the PA/NJ border, a fabulous new Lifestyle Shopping Center, and a state of the art hospital. This community is also across the street from Bethlehem Township's largest Community Park, including its new multi-million dollar community center. In it you will find multiple swimming pools, fitness center, indoor basketball, and classes for all ages and abilities. This is made available to all Township residents. The neighborhood Homeowners Association provides assurance while protecting the beauty and integrity of the community. The HOA will handle all snow removal, grass cutting, landscape maintenance, and trash removal, so you don't have to. 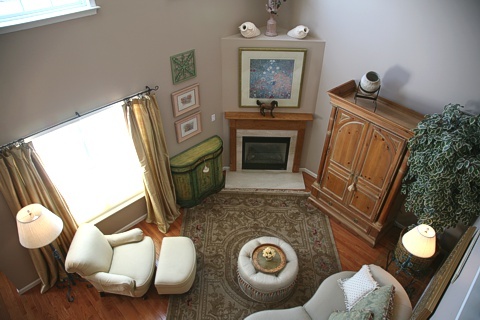 With Calantoni Homes, it's easy to create the home you want, the way you want it. Imagine having hundreds of choices and the freedom to make your house just right. Design your own kitchen and bathroom with our specialist. Select from our many tile, hardwood, and carpet samples. Choose all of your light fixtures. Meet with an electrician and a heating & air conditioning mechanic so you can specify equipment and gain a better understanding of how your house will work. We will be there with you every step of the way to help with the toughest decisions, save you time, and make sure everything is exactly how you want it. All of our homes are backed by an outstanding builder's warranty. From interstate 78 take route 33 north to Freemansburg hwy. (the first exit.) Turn left off the exit ramp on to Freemansburg hwy. Then turn right on to Farmersville Road. To left on Carter Road, the development is on your right. 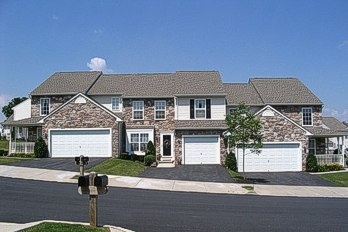 To view our Townhomes gallery click on the photo below.